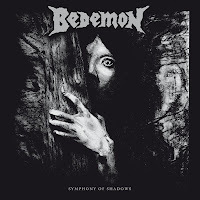 Bedemon has thus far proven a rare anomaly in the metal universe, a proto-doom band formed in the 70s who were, until now, known only to a few purists who explored the genre's roots so deeply for occult and psychedelic heavy rock that they came across some mention of the Californian trio online, or perhaps heard their 1986 demo, or found out about them through their early connections with Pentagram. Despite having come together in 1973, they'd only gotten out that tape before splitting up, but were reunited in around 2001 through the interest of a journalist, and decided there was enough passion and drive remaining to give this another go, which resulted in the Child of Darkness: from the Original Master Tapes compilation in 2005, well worth checking out if you're into the early doom sounds of Black Sabbath (pre-80s). Rather than rest on ceremony, and recycle all those tunes into a modern studio context, Bedemon has instead embarked on previously unreleased material for their first ever full-length, which one could argue was almost 40 years in the making, though it was actually recorded in 2002, and written partly by their late guitarist Randy Palmer (who also passed that year). I don't think anyone will be surprised when I say that this band has always felt like an American reaction to Sabbath. The thick, drudging contours of the chords remind me heavily of Tony Iommi, and the piercing, charismatic tone of the vocals is quite similar to lower-range Ozzy Osbourne, but if you're going to borrow inspiration and aesthetics from anyone, why not the best? 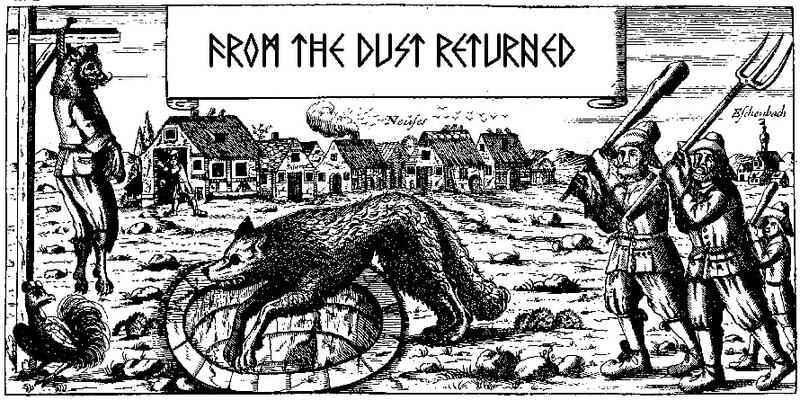 Fans of this style have been inundated with decades of groups following in these same footsteps, and while Bedemon might not possess the operatic girth of Candlemass, or the shuffling, bluesy boogie of Trouble, they still succeed in creating a tangible sensation of archaic gloom and horror with but a simple and sincere riff-set. Rather than glitter up their sound in some overly polished form, they subsist on an oozy delivery of both the bass and guitars, while the vocals are balanced between eerie melodies and occasional, maniacal narrative characteristics. The chord progressions they've put together are admittedly pretty simple, and bring nothing new or inventive to the field, but the sheer amount of groove permeating a track like "Lord of Desolation" or "D.E.D." is itself enough to have the listener lighting a candle, clutching a crucifix and doing his/her best Vincent Price interpretation. I did feel as if the band front-loaded a lot of the better material here. The deeper into the album I traveled, some of the songs felt less developed, especially the 10 minute "Godless" or the perky "Kill You Now" with its clap track. That said, one of the later tracks ("Hopeless") is actually pretty good, with a lot of creepy whispered and harsher vocals arranged throughout a decent set of riffs; the funereal keys, morbid bass rhythms, and bluesy lead melodies are also evil enough to wither flowers within a 10 yard radius. But there are certainly a few tunes here which seem inferior to others, and as a whole, hour playtime feels inconsistent enough that you might feel like skipping around. But, let's be serious: Symphony of Shadows was not written with any other intention that capturing that black flame of the past, and those beholden to fits of psychedelic doom nostalgia are going to chew this up regardless of a few flaws. Bands like Count Raven, The Obsessed and Pentagram have all written albums that better evoke the chosen atmosphere and aesthetic than this one, but if you consider how long it's taken for this to arrive, and how disappointing it might have been if the band had somehow become out of touch with its original purpose, Symphony of Shadows is a success. It sounds like it looks: unsophisticated, spooky, and suffused with the old school. Ride on, sweet specters.